Apple Day at the Donkeyfield Community Orchard will be on Saturday October 28th 2 — 4.30PM. Come and press apple juice, play games, enjoy the bon­fire — cel­eb­rate the apple year. January is tra­di­tion­ally the time for singing rowdy songs in orch­ards to cel­eb­rate the har­vest from the pre­vi­ous year, chase away evil spir­its and so ensure a good crop in the com­ing sea­son. Please bring noise mak­ing equip­ment (drums, whistles, pans), bread to hang on the trees, apple juice to soak the bread in, and wear scary clothes if you wish, to scare away any evil spir­its that may be lurk­ing… Come and drink spiced apple juice and sing round the bon­fire. All wel­come! This year the was­sail­ing songs will be taught at Portobello Community Choir ses­sions — Weds even­ings on 13th and 20th January 7.15 – 9.15pm at Portobello Baptist Church Hall, 189 Portobello High St. £6/4 con­ces­sions. All wel­come (you do not need to be a mem­ber of the choir to attend these was­sail­ing ses­sions) — songs will be taught by ear so no singing exper­i­ence or abil­ity to read music required. Children and young people wel­come provid­ing they are able to con­cen­trate and join in. Season of mists and mel­low fruitfulness…PEDAL — Portobello Transition Town will hold its sixth Apple Day on Saturday 24 October from 2−4.30 pm at the com­munity orch­ard, Brunstane Road South. We will be press­ing apples to make juice so please bring along some apples if you can and an empty bottle so you can take some home with you. We’ll be tast­ing some apples you may nev­er have heard of and pick­ing the crab apples that are just ripen­ing. There will also be tea, cof­fee and home bak­ing and sales of loc­al apple juice, jam and chut­ney. We’ll have a fire to keep us warm and for your enter­tain­ment there will be games and music. We hope you will come along and join us for an after­noon of fun at this cel­eb­ra­tion of nature’s abund­ance. This year the was­sail­ing songs will be taught at Portobello Community Choir ses­sions — Weds even­ings on 7th, 14th and 21st January 7.15 – 9.30pm at Portobello Baptist Church Hall, 189 Portobello High St. £6/4 con­ces­sions. All wel­come (you do not need to be a mem­ber of the choir to attend these was­sail­ing ses­sions) — songs will be taught by ear so no singing exper­i­ence or abil­ity to read music required. Children and young people wel­come provid­ing they are able to con­cen­trate and join in. 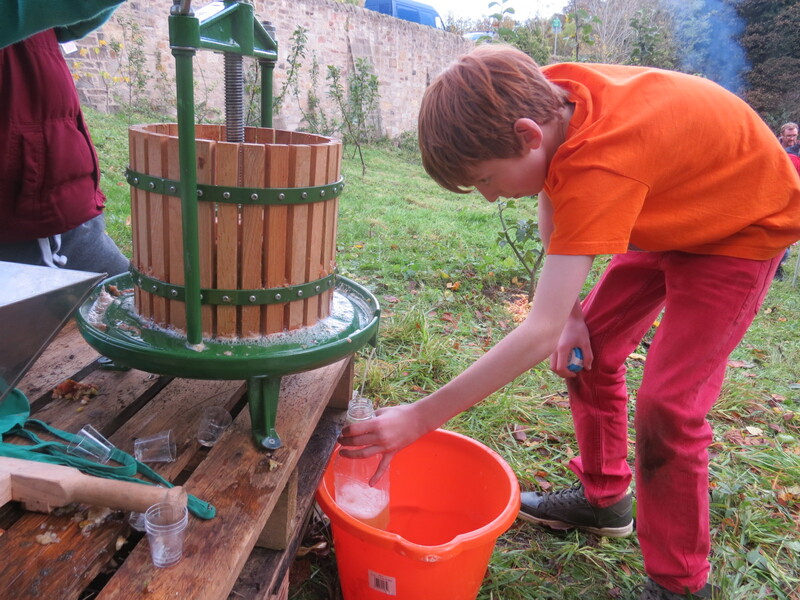 Apple press­ing (Please bring apples if you have plenty to spare and a bottle to take some juice home). 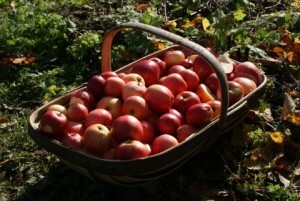 Apple tast­ing, games and crafts — if you have your own home grown Portobello apples please bring an example to show us. Refreshments and home bak­ing — we would be grate­ful for any con­tri­bu­tions of home bak­ing, pre­serves and help but more import­ant: Come along and have fun. BRUNSTANE ROAD SOUTH, GILBERSTOUN, JUST OPPOSITE BRUNSTANE STATION. 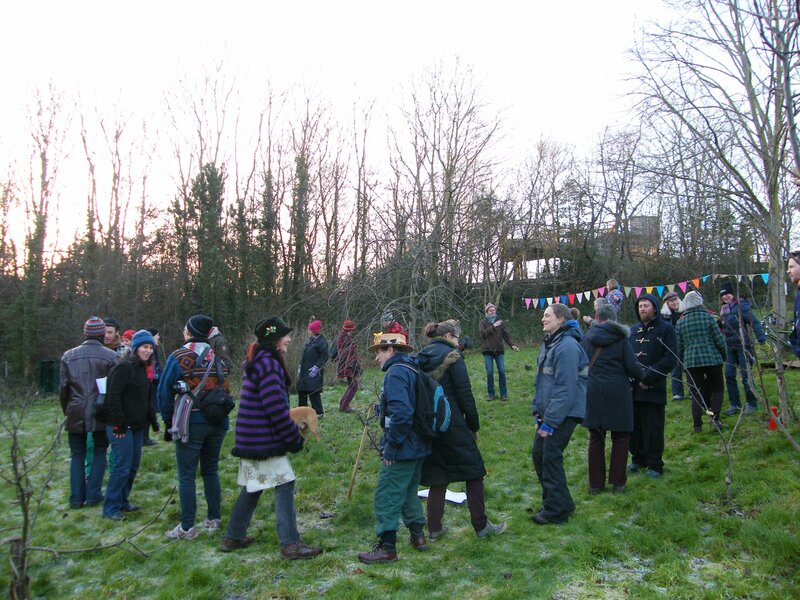 Come and learn some simple har­mony songs around the bonﬁre and amongst the fruit trees in Donkeyﬁeld Community Orchard. All songs will be taught by ear. All wel­come! Learn to make a beau­ti­ful wil­low pea cone to sup­port your peas, or oth­er climb­ing plants. All mater­i­als provided, but bring your own lunch. We have reluct­antly just decided to can­cel the was­sail­ing today due to the weath­er. Sorry! — and we hope you see this in time. We didn’t think it would be much fun for a few die-hards to be singing in the rain and that it wouldn’t achieve the pur­pose of get­ting folk togeth­er for a nice com­munity event and encour­aging more folk to come to the orch­ard. But we do hope to re-arrange and will keep you pos­ted. We have had two ener­get­ic singing work­shops to learn the was­sail songs — includ­ing one with young people at Woodcraft last night — so there is a band of great was­sail­ers ready to go. There will be a singing work­shop to learn some tra­di­tion­al and some new was­sail­ing songs for the PEDAL was­sail on Wednesday 15th January at 7.00 – 9.00pm at 7 Rosefield Avenue. Cost £5 per per­son to raise money for the orch­ard. All wel­come — songs will be taught by ear so no singing exper­i­ence or abil­ity to read music required. Children and young people wel­come provid­ing they are able to con­cen­trate and join in. Please con­tact Jane Lewis if you wish to come. Sorry today’s event is unfor­tu­nately can­celled due to per­sist­ent rain. You are all invited to the was­sail at PEDAL’s Donkeyfield Community Orchard on Saturday 25th January at 2pm — 4pm. There will be a singing work­shop to learn some tra­di­tion­al was­sail­ing songs for the PEDAL was­sail on Wednesday 15th January at 7.00 – 9.00pm at 7 Rosefield Avenue. Cost £5/£3 per per­son to raise money for the orch­ard. All wel­come — songs will be taught by ear so no singing exper­i­ence or abil­ity to read music required. Children and young people wel­come provid­ing they are able to con­cen­trate and join in. Please con­tact Jane Lewis if you wish to come.